Kotoku Shusui was a Japanese socialist, anarchist, and critic of Japan’s imperial expansionism who was executed in 1911 for his alleged participation in a plot to kill the emperor. His Imperialism was one of the first systematic criticisms of imperialism published anywhere in the world. In this seminal text, Kotoku condemned global imperialism as the commandeering of politics by national elites and denounced patriotism and militarism as the principal causes of imperialism. 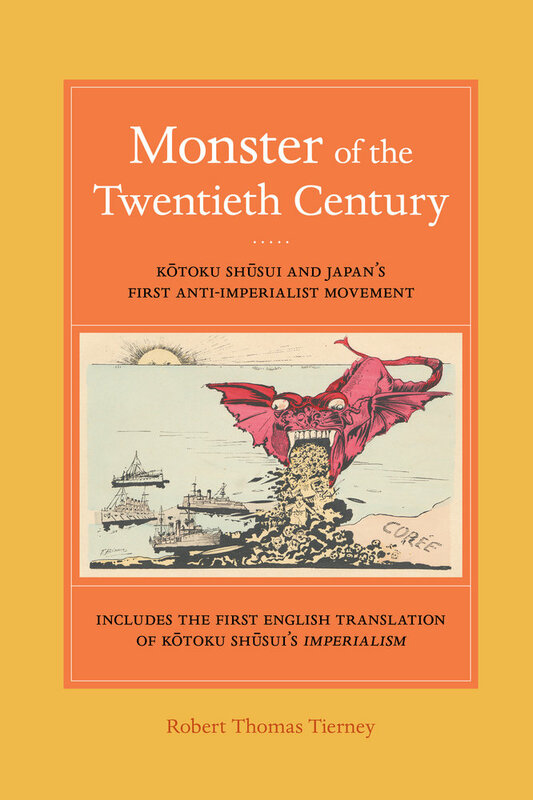 In addition to translating Imperialism, Robert Tierney offers an in-depth study of Kotoku’s text and of the early anti-imperialist movement he led. Tierney places Kotoku’s book within the broader context of early twentieth-century debates on the nature and causes of imperialism. He also presents a detailed account of the different stages of the Japanese anti-imperialist movement. Monster of the Twentieth Century constitutes a major contribution to the intellectual history of modern Japan and to the comparative study of critiques of capitalism and colonialism. Robert Thomas Tierney is Associate Professor at the University of Illinois, Urbana-Champaign. Epilogue: The Monster of the Twenty-First Century?